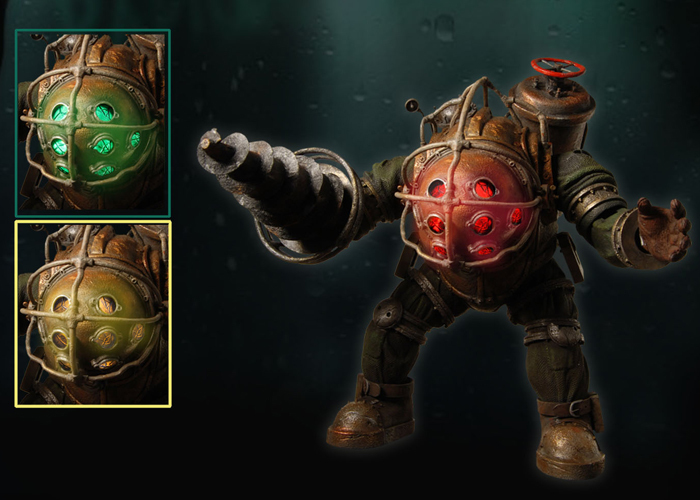 The icon of the highly successful BioShock video game franchise gets an upgrade! This deluxe Big Daddy Bouncer action figure is now electronic and features light up eye ports on his head. A 3-way switch allows you to select green, yellow, or red LED lights to represent his mood (batteries are included). This incredibly game-accurate 7″ scale figure comes with removable tanks and full articulation.